PRESIDENT MICHAEL D Higgins has signed the Protection of Life During Pregnancy Bill 2013 into law. A statement from his office said that in accordance with Article 31 of the Constitution, President Higgins convened a meeting of the Council of State to discuss the Protection of Life During Pregnancy Bill 2013 yesterday. 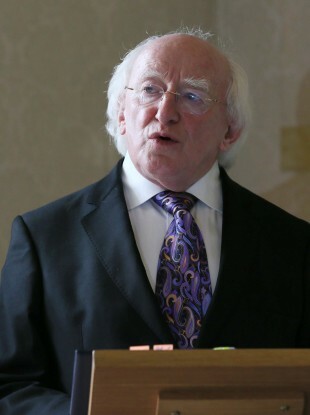 President Higgins has now signed the Bill into law, meaning it does not have to be forwarded to the Supreme Court to determine whether it is “repugnant to the Constitution” – or unconstitutional, in layman’s terms. Now that the bill has been signed into law, it becomes the Protection of Life During Pregnancy Act. A copy of the new act will be sent to the registrar of the Supreme Court to hold on file, while the bill will also be placed on the Irish Statute Book. The President had until tomorrow (which was seven days after he received the bill) to decide whether to sign the bill into law or refer it to the Supreme Court. Had the bill not been signed into law, it would have been sent to the Four Courts to be considered by the judges in the Supreme Court, who would have had 60 days to reach a decision on whether the bill was constitutional. However, there is no need for this to take place now. This was President Higgins’ first time convening the Council of State, whose purpose is to aid and counsel the President during the course of some of his duties. The members of yesterday’s council included former presidents Mary Robinson and Mary McAleese, the Taoiseach Enda Kenny and Tánaiste Eamon Gilmore, as well as the President’s nominees. Since 1940, there have been just 26 meetings of the council held to consider whether a bill needed to be referred to the Supreme Court. The journey of the Protection of Life During Pregnancy Bill through the Dáil, onto the Seanad and then into the hands of the President was one fraught with debate. It saw some TDs, Senators and one Minister of State, Lucinda Creighton, voting against the bill, leading to a number of Fine Gael TDs being removed from the parliamentary party because of their vote. Fianna Fáil TDs and senators were allowed a free vote on the issue. The bill also saw intense discussion within the Dáil and Seanad chambers, with one senator, Jim Walsh, in particular coming under fire for his speeches on abortion in Ireland. It also saw numerous protests outside Leinster House, and rallies from both pro-life and pro-choice activists taking place around the country. This suicide clause – part 9 of the bill – was one of the most contentious parts of the legislation, with a number of TDs and Senators tabling amendments that would have removed this section or substantially altered it. However, these amendments were all defeated. Email “President signs Protection of Life During Pregnancy Bill into law”. Feedback on “President signs Protection of Life During Pregnancy Bill into law”.